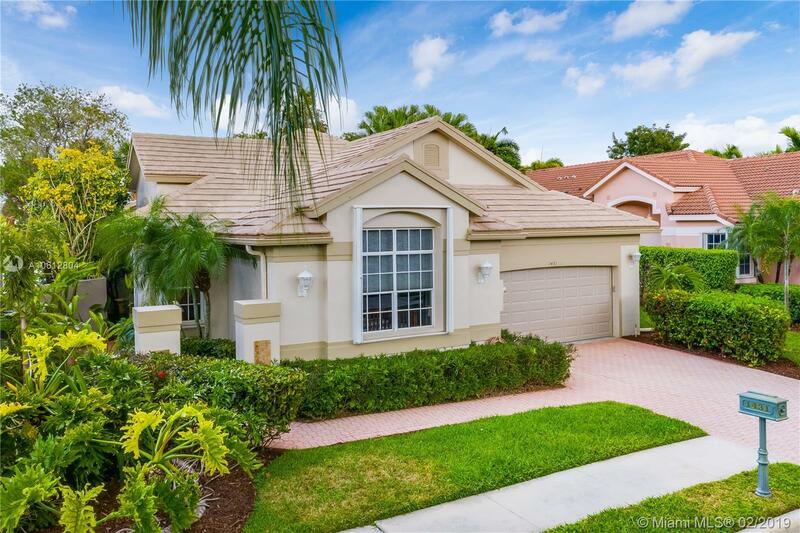 1431 E Lacosta Dr E, Pembroke Pines, FL.| MLS# A10612804 | Susan J Penn l Best Agent l Buy & Sell South Florida Homes! Exquisitely Remodeled 3 Bed, 3 Bath LAKEFRONT/POOL HOME in Sought After La Costa@Grand Palms. Open Floor Plan, Contemporary Kitchen, White Cabinetry, Granite Counter-tops, Double Oven, SS Appliances, Modern Lighting, Built-in Entertainment Center & Wine Service, Spacious Master Suite, Walk-in California Closet, Spa Bath, Rain Shower, Frame-less Glass Enclosure, Euro Soaking Tub, Dual Vanities, Elegant Tile Work, Updated Guest Baths, New Italian Vanities, Steam Shower, Hardwood/Tile Flooring, New A/C, Expansive Screened Patio, Heated Pool w/Water Fall Feature, WIDE LAKE & GOLF VIEWS, Accordion Shutters & Tropical Landscaping. HOA Includes: Cable & Alarm Monitoring Discounts, Security, Home Painting/Pressure Cleaning, Landscaping/Irrigation. Eligibility for Golf & Country Club Membership!